Naz Deravian is a writer and actor born in Iran, who grew up in Italy and Canada, and now lives in Los Angeles with her husband and two children. She is the award-winning voice behind the food blog Bottom of the Pot, which won the 2015 International Association of Culinary Professionals (IACP) Award for best culinary blog. She has also been twice nominated in several categories for the Saveur Food Blog Awards. Naz has been profiled in The New York Times, Sunset magazine, and Condé Nast Traveler, among others. 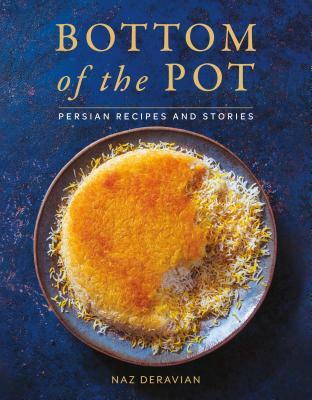 She is the author of Bottom of the Pot: Persian Recipes and Stories. "An easy access to a sophisticated cuisine. and get ready for a royal feast."